How do I install a custom Gmail wallpaper photograph or image? I’m kind of tired of the same dozen HD themes that Google has for Gmail users and read that there’s a way I can set my own image as the background instead? How do I do that? 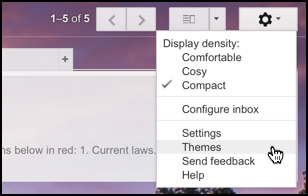 Every so often, Google seems to remember that there are millions of Gmail users who might just want something with a bit more visual pizzaz so they introduce a new theme, feature or capability to the popular Web-based email service. But they’re few and far between. Even themes. 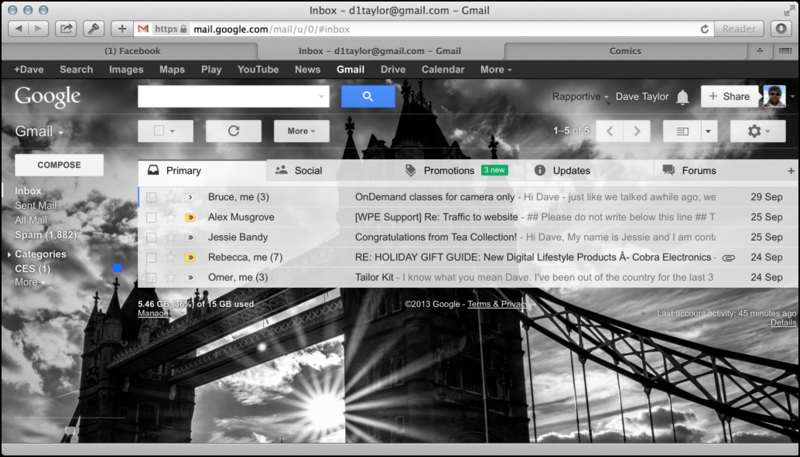 There haven’t been any new themes introduced for years, which is too bad as that would be an easy way for people to have a bit more fun with Gmail. In particular, I really like the themes that have different images based on the time of day. 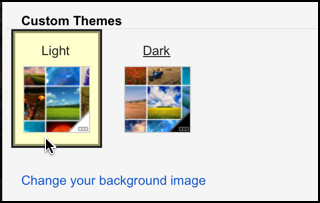 Gmail does allow you to specify a background graphic or photo of your choice and even has a small gallery of about 20 different choices too, but while that’s what we’ll consider, there’s no way for us Google Mail users to specify a set of wallpapers and the condition that should be met for a transition from one to another (for example daytime/nighttime or even just a simple rule like “every two hours”). Maybe someday. The challenge with images is to find one that has just the right color palette so that you can easily read all the text superimposed by the Gmail interface. Their solution: you pick a “light” or “dark” color scheme and see how it works. Gorgeous but I’ve had this image for almost two weeks now, so it’s time to change. Choose “Themes” as you can see I’m highlighting here. Here’s where you can see the “Light” and “Dark” theme options. I’m going to stick with a light color scheme since the background image I’m going to use — of London’s famed Tower Bridge — is black & white, so I’ll leave that selected. Since the image I want to use is already on my computer, I’ll click on “Upload photos” on the left side. 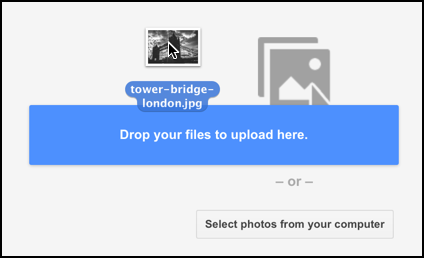 When it uploads the image immediately changes in Gmail and you’re done. If the text is difficult to read on your screen, don’t forget you can back up and try the “dark” color scheme to see if it’s any better.